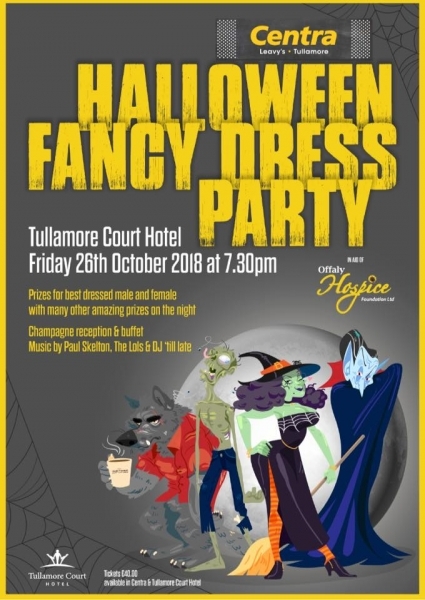 The Centra Halloween Fancy Dress Party in aid of Offaly Hospice is back - Friday 26th October 2018 at 7:30PM. Prizes for best dressed male and female with music by Paul Skelton, The Lols & DJ 'till late! !